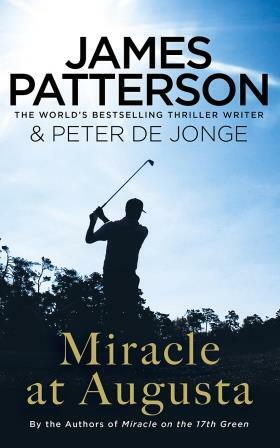 Co-written with Peter De Jonge, this book is all about golf. And you really need to have some basic understanding of the game to read the book, let alone enjoy it. I have no skill when it comes to a golf club – been there and tried that with Dave at the driving range. But, I do understand the game and follow it in as much as I like to know how the South African players are doing. I certainly don’t watch golf. But, needing something to read, this book went onto my list and I really found it a pleasant and easy read. We were on the barge, and I read the book from cover to cover in a day. Travis has entered the golfing world late, but everything he learnt about the game, he learnt from his grandfather. The most touching part about this story is how he passed on these lessons to a strange young teen who arrives to clear the snow from his drive one day. Looks like a great summer read for my hubby. It is hard here in HK it is difficult to get the chance to golf as you need to be part of an elitist group or haul yourself and all of your golfing items about a 2 hour ride in a bus/MTR (train) and then ferry. Really inconvenient. I so miss the Michigan golf courses!!! I read that James Patterson is one of the most successful authors ever. I guess he really covers all bases and now with golf! I think he has a lot of help!